It's been a long while again, real life etc. etc. 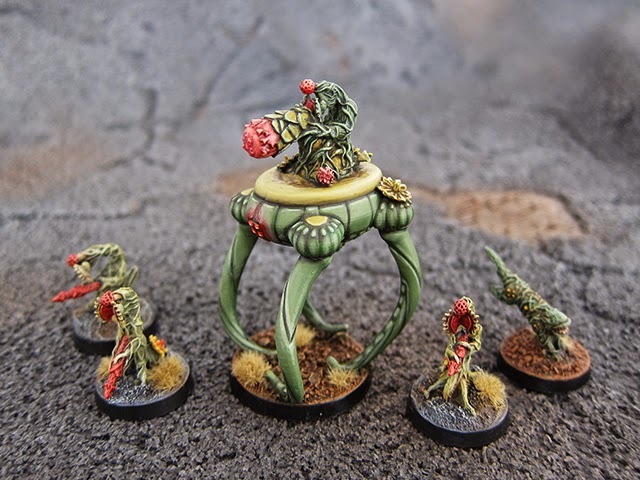 On to the good stuff: New Vornid models from Khurasan miniatures, the very best miniatures for weirdness in 15mm scale! 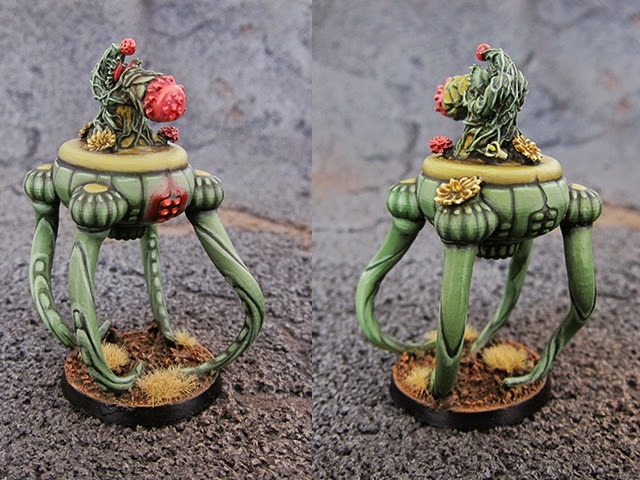 Mainly very easy to paint, although the walker has a lot of smooth surfaces, so took a while. I plan to stick some clump foliage on top, but didn't want to confuse the product shot. 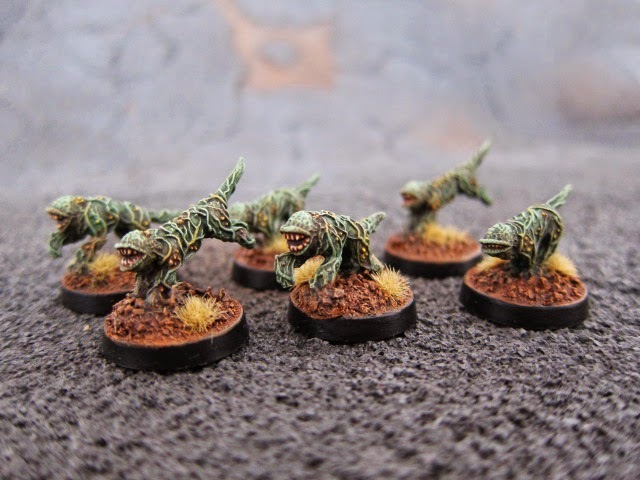 These minis round out the the Vornids very nicely as an alien or postnuclear force. As a side not, I used my dried out coffee grounds as basing material again... It's a winner.